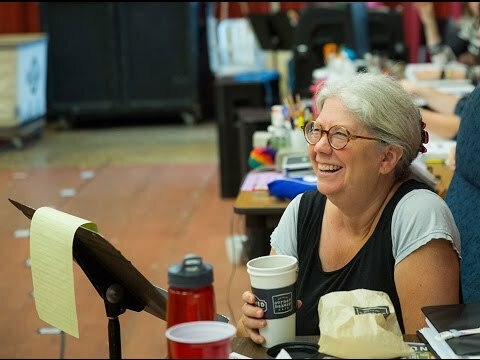 Mary Zimmerman is the recipient of a 1998 MacArthur Fellowship, the 2002 Tony Award for Best Director of a Play and numerous Jeff Awards (including Best Production and Best Direction). She is the Manilow Resident Director of Goodman Theatre, a member of Lookingglass Theatre Company and a professor of performance studies at Northwestern University. Ms. Zimmerman most recently adapted and directed Treasure Island, which appeared at Lookingglass Theatre Company this fall and will appear at Berkeley Repertory Theatre this spring. She has also adapted and directed Metamorphoses, which appeared on Broadway and at Lookingglass Theatre Company, Seattle Repertory Theatre, Berkeley Repertory Theatre, the Mark Taper Forum and Second Stage Theatre; The Notebooks of Leonardo da Vinci at the Goodman, Brooklyn Academy of Music, Seattle Repertory Theatre and Second Stage Theatre; Journey to the West at the Goodman, the Huntington Theatre Company and Berkeley Repertory Theatre; The Odyssey at Lookingglass Theatre Company, the Goodman, McCarter Theatre and Seattle Repertory Theatre; Mirror of the Invisible World and Silk, both at the Goodman; Arabian Nights at Lookingglass Theatre Company, Manhattan Theatre Club, Brooklyn Academy of Music, Berkeley Repertory Theatre and Kansas City Repertory Theatre; Argonautika at Lookingglass Theatre Company, Berkeley Repertory Theatre, the Shakespeare Theatre Company and McCarter Theatre; The Secret in the Wings at Lookingglass Theatre Company, Berkeley Repertory Theatre, McCarter Theatre and Seattle Repertory Theatre; Eleven Rooms of Proust at Lookingglass Theatre Company and About Face Theatre (co-produced by the Goodman); a new opera with Philip Glass, Galileo Galilei, at the Goodman, The Barbican in London and Brooklyn Academy of Music; Candide at the Goodman, the Shakespeare Theatre Company and the Huntington Theatre Company; The Jungle Book at the Goodman and Huntington Theatre Company and The White Snake at the Goodman, McCarter Theatre, Oregon Shakespeare Festival and the Wuzhen Theatre Festival in China. In addition, Ms. Zimmerman has directed Shakespeare’s Pericles and All’s Well That Ends Well at the Goodman and Henry VIII and Measure for Measure at New York Theater Festival’s Shakespeare in the Park. She made her Metropolitan Opera directorial debut in 2007 with Lucia di Lammermoor, which she also directed at La Scala in Milan in 2014. Subsequent Met productions include Armida, La Sonnambula and the uopcoming Rusalka in 2017. Director Mary Zimmerman on "Wonderful Town"